Yemeni armed forces fired a domestically-developed ballistic missile at a military base in Saudi Arabia’s southwestern border region of Asir, in retaliation for the regime’s campaign of military aggression. Yemen’s Arabic-language al-Masirah television network, citing an unnamed military official from the missile unit of the Yemeni army, reported that the military base had been hit with a short-range Badr-1 missile late on Wednesday, adding that the projectile had struck its target with precision. The report added that the missile attack left an unspecified number of Saudi mercenaries either dead or wounded, and inflicted damage to the base and its equipment. Meanwhile, al-Masirah said in a separate report that Yemeni forces killed a number of Saudi-led mercenaries west of a border crossing in Asir in rocket and mortar fire. It added that the Yemeni forces also managed to retake at least eight strategic areas in the northernmost parts of the country’s Sa’ada province, which shares a border with Asir. 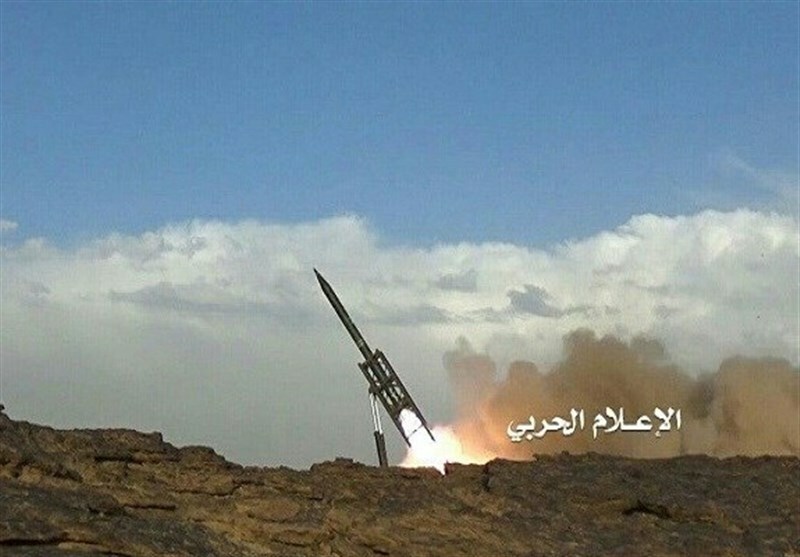 Earlier on Wednesday, the Yemeni army had hit a Saudi base in the kingdom’s Jizan region with two home-grown Zelzal-1 (Earthquake-1) ballistic missiles. There were no immediate reports about possible casualties or the extent of damage caused. Saudi Arabia and some of its allies, including the United Arab Emirates, Morocco, and Sudan, launched a brutal war against Yemen in March 2015 in an attempt to reinstall Yemen’s former president Abd Rabbuh Mansur Hadi and crush the country’s popular Houthi Ansarullah movement, which has played a significant role, alongside the Yemeni army, in defending the impoverished nation. The aggression initially consisted of a bombing campaign but was later coupled with a naval blockade and the deployment of ground forces to Yemen. Some 15,000 Yemenis have so far been killed and thousands more injured. More than 2,200 others have also died of cholera, and the crisis has triggered what the United Nations has described as the world’s worst humanitarian disaster. The imposed war has also taken a heavy toll on the country’s infrastructure, destroying hospitals, schools, and factories. The UN has said that a record 22.2 million Yemenis are in dire need of food, including 8.4 million threatened by severe hunger. Some Western countries, the United States and Britain in particular, are also accused of being complicit in the ongoing aggression as they supply the Riyadh regime with advanced weapons and military equipment as well as logistical and intelligence assistance.